ultrasonic cell phone charger welding machine is dedicated to mobile phone charger shell welding equipment. 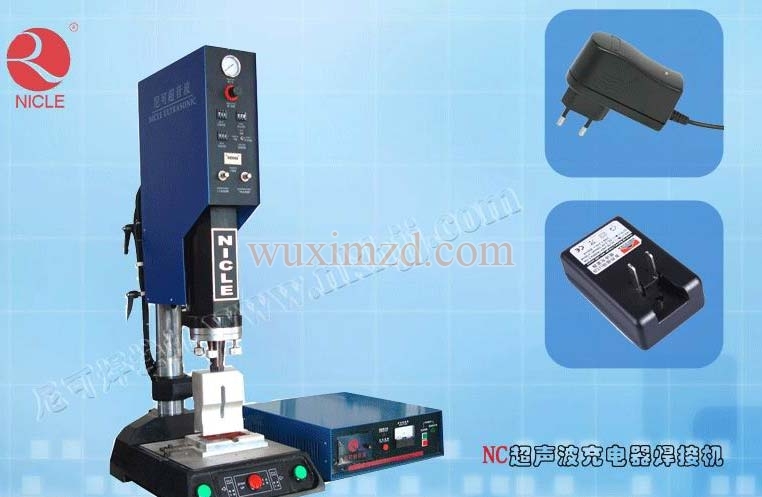 Using ultrasonic plastic welding principle, it is a kind of to mechanical energy for the solid phase welding method, ultrasonic welding, welding parts in low static pressure, the sound of a very high frequency vibration can make joint surface produce strong crack friction and heated to welding temperature and melting, and finally plastic molecules will be in a charger contact mutual fills up the gap, and to achieve welding purpose. Mobile phone chargers special ultrasonic welding machine used for mobile phone chargers, mp3 charger, phone charger, electric car charger, game charger, abs material charger welding, by changing welding mold, can also be used in notebook computer power adapter, plastic toy shell, plastic bottle cap, plastic boxes, computer charger, car speaker shell, etc.